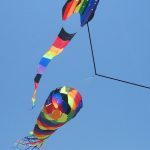 Kite fliers love to attach decorations to their line. 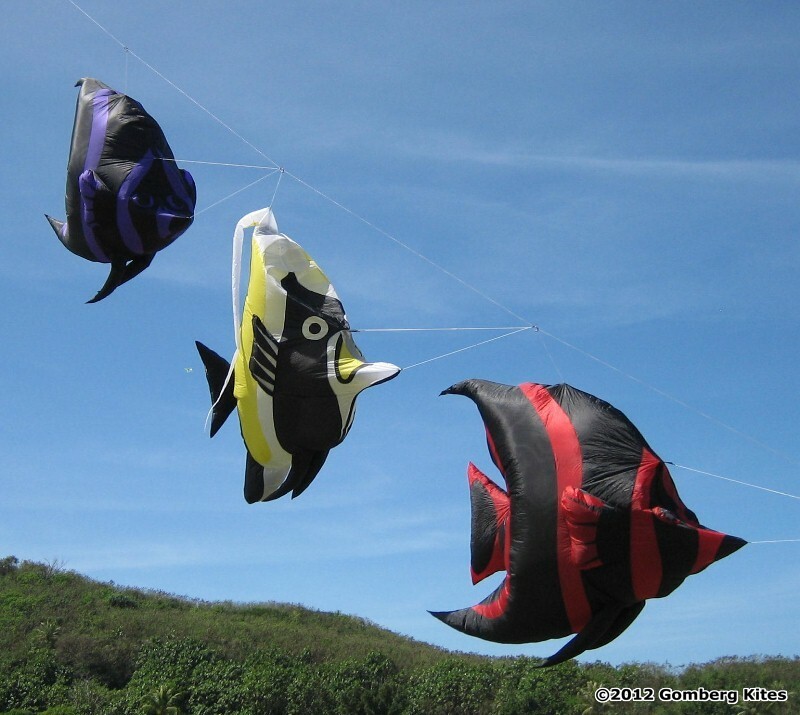 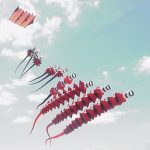 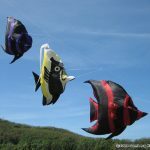 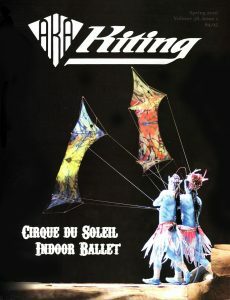 These include windsocks, tails, spinners, inflatable creatures and much more. 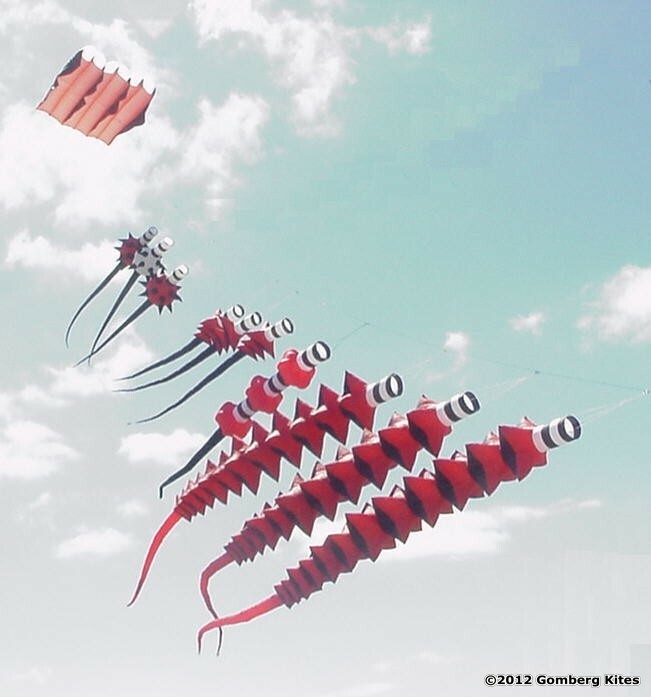 These are attached to the line and lifted by the kite but they are not kites since they typically don’t generate lift. 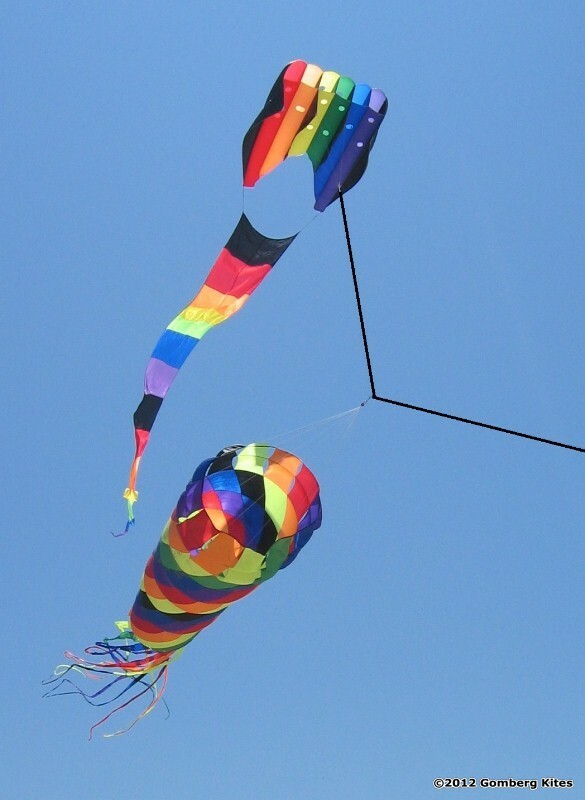 Line laundry can often be a bigger part of the overall display than the kite itself!